0Office Delivery - Free Trial! Fresh fruit delivery - right to your office! We deliver fresh fruit to offices and businesses daily, weekly or as often as you like, ensuring each box contains the freshest and highest quality produce. Should you have any specific preferences, we can alter the selection accordingly. Prices start from €20 (minimum order) and our fruit delivery is free (except for the fruit baskets). We deliver to the greater Dublin area. Deliveries are Monday to Friday, orders must be in before 12pm for delivery the next day. Treat your staff to some fresh fruit or share a fruit box with your work colleagues. Get your fresh fruit today! We have been getting fresh fruit twice a week for the office from Office Fruit about 6 months now, here in Mylan Ireland and highly recommend them. The fruit is very fresh and tasty. Infact, it’s gone so fast after delivery that that alone speaks volumes. If you are looking for great quality, fresh, fruit with a great service contact Paul for more information. We can highly recommend them. Our fresh produce is hand picked daily in Dublin’s Fruit and Vegetable Market in Smithfield then carefully boxed and delivered fresh to your office. 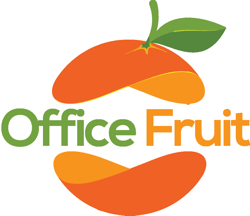 At Office Fruit we strive to be the best suppliers of fresh fruit in the country. © 2019 Office Fruit. All Rights Reserved.